So, you’ve just heard the news that your company will be moving out to Denver. Congratulations! Denver is one of the fastest growing cities in America, and the quality of life here is like nowhere else in the country. There’s really no better place to be relocated! That being said, having to pick up and move your work life and personal life to somewhere new and unfamiliar can be really terrifying. How can you find the right home in time for you to start work, when you don’t know the area or the real estate market? And, if you’re moving with your family, how can you be sure they’ll be comfortable, too? Denver Luxe Team is here to help! When it comes to relocating your small or big business, we’ll assist you and your employees or colleagues in settling in smoothly. Sure, you can search online for houses. But, when you have no basis for what a house here in Denver should cost or where the best location is, your head will start spinning. Here at Denver Luxe Team, we know where you’ll want to be. (Well, we at least have a good idea!) We’re already experts in the Denver area. All you have to do is tell us what you’re looking for. Do you want to be in the center of the city where all the action is, or do you want to be in a quieter neighborhood? We’ve already narrowed down the options to make it easy for you to choose! The last thing you need to be concerned about when relocating to Denver is whether or not your new place will be livable. There’s nothing like arriving at your new home to find out there’s mold in the walls, a leak in the ceiling, and the toilet doesn’t work. With Denver Luxe Team, we can assure you that everything will be in tip-top shape when you move in. And, all ready for you to start decorating! You don’t have time to worry about the little things when it comes to getting a house in Denver. Do you want your townhouse, condo, or apartment to be move-in ready by the time your flight rolls into Denver Airport? Then we’ve got your covered. Whether you need that third bedroom or a backyard for your pet to run around, we’ll make sure it’s there waiting for you. 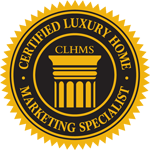 Here at Denver Luxe Team, we’ll customize your housing search so you can find your perfect home in no time. We are not your ordinary online housing search or real estate broker. We have extensive professional experience within the Denver community, and we always put our customers’ needs first. Want to know where the malls, ski resorts, or supermarkets are? Just ask! We’ll guide you to the right areas and the right people, so moving you and your family to Denver will be a breeze. Therefore, you can start working without extra worries on your mind. If your company is relocating to Denver, that’s already enough of a hassle. We’ll take as much of the stress off of you as we can, so you can get settled in and get to what matters most. Do you have any more questions? Then get in touch!